Last autumn it was blockchain technology that got the lead role in the popular “X will save journalism” series. 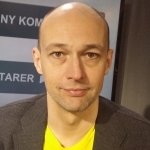 Blockchain would, we were told, solve the problems of monetisation, trust, content integrity, user participation, centralization, governance and even ownership. But typical to this genre, it was not entirely clear just how this would be done in practice. To find an answer I spent one month with Polis at the LSE talking to media startups using blockchain and experts in the field. The track record for blockchain is not very impressive so far. The torchbearer of blockchain-based journalism Civil did not succeed with its fundraising token sale in September. And the startups I met were all using blockchain in a very minor role. One startup had actually ended up on the list of blockchain startups by mistake and were doing their best to dismiss the misunderstanding. It turned out that many of the companies using blockchain were closer to media infrastructure companies, building browser software or a social media platform. And while browsers and platforms can have fundamental implications for journalism, I chose to limit my study to ideas or projects that could have direct consequences for how we understand and do journalism in the newsroom. In this category the most typical application for blockchain, is saving content metadata on the blockchain. This creates an open and immutable record of content origin, publishing time and editing history that could be used to counter content that falsely claims to originate from a certain source. Openly distributed metadata records could also contribute to the trustworthiness of the content and even to a broader understanding of the journalistic process. Another common characteristic of the services the startups are building is user participation, typically combining user input with professional content production. Blockchain can be used for identity management, event logging and contractual management and these are all required building blocks for a robust ugc-platform. The third main expected benefit from blockchain is to enable an easier funding model for the company, journalism or both. The most successful use case for blockchain is of course cryptocurrency which spurs ideas about creating local cryptoeconomies to support journalistic production on the same platform. ICOs, initial coin offerings have also been used to collect substantial seed funding for various startups. Underpinning these technological visions there seems to be a broader philosophical standpoint that emphasizes decentralization, democracy and the importance of journalism for the society. A strive for decentralization is a recognized characteristic of the blockchain movement and it might well be more important than the technology itself. Based on my understanding of the technology and on what I’ve learned talking to the entrepreneurs and experts I don’t see blockchain providing solutions to the problems journalism has in the near future. This does not however mean we should dismiss it as useless. In the short term, journalists should take the ideas that have been presented in the discussion seriously, since both public metadata and user co-operation can be done with or without blockchain. In the long run it is important to see blockchain as part of the bigger process that in the best case scenario could lead to a decentralized internet environment. This project known generally as ‘Web3’ should interest any media company struggling in the current online environment that is dominated by a handful of internet giants. 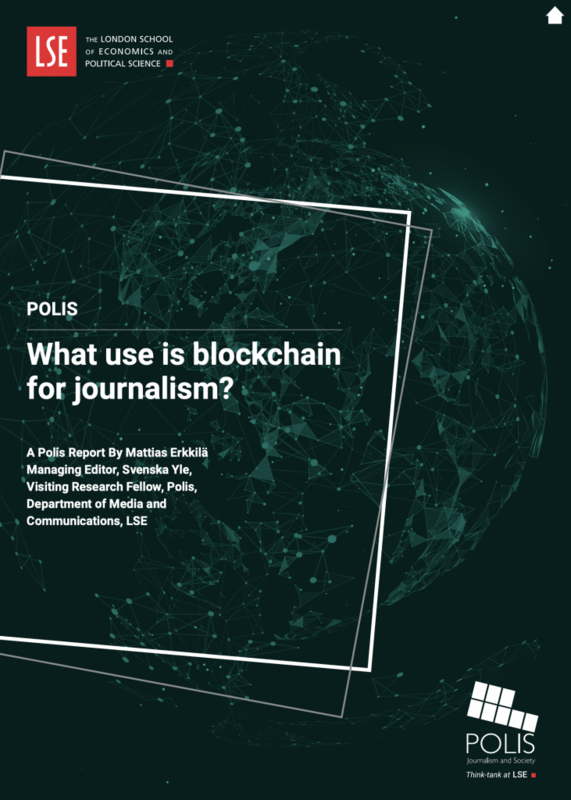 READ THE FULL REPORT : What use is Blockchain for Journalism? All articles posted on this blog give the views of the author(s), and not the position of Polis, nor of the London School of Economics and Political Science.